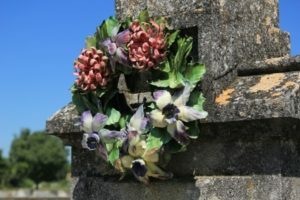 Have you ever wanted to find where a relative was buried? My client didn’t have much information, but wanted to know where her grandparents were buried over 65 years ago. The only clues I had were the names, possible year(s) they died and that it was somewhere in the state of New York. After a few hours of research I was able to locate the cemetery and my client can schedule a trip to pay their respects and view their gravestones. My client was shocked to discover the location and now they have the opportunity to learn more about their grandparents’ lives in that town. Interesting point to remember for immigrants: their names may change from the Ellis Island documentation. Looking at a 1920 census clarified which first names they were using in their daily life, which made it possible for me to find them. See other services available virtually or in the San Francisco Bay area or contact Lucy to discuss your needs.